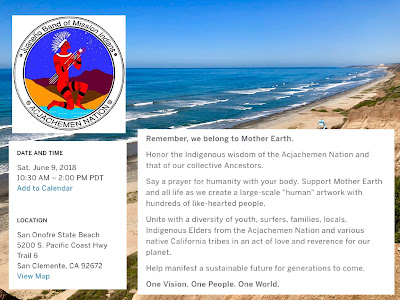 Join us in prayer and meditation as we lift our consciousness up and over the current movement of nuclear waster into thin Chernobyl cans on the beach at San Onofre. The sun sets at 8:03 PM on Saturday, June 18, 2016 (PDT). Do you love taking photos of food or capturing the sunset from the coast and the San Clemente Pier? This is your opportunity to gather together in real life, with fellow shutterbugs for a photowalk. Planned route is from one end of the SCPier and back. Sound like fun? Click Here & Join! See you on the San Clemente Pier!